Mike Repper​ is a conductor of classical music, jazz, pops, and musical theater in the United States and abroad. He made his Carnegie Hall debut as the Music Director of the New York Youth Symphony in November 2017, and together with the NYYS gives at least three performances at Carnegie Hall each season. He completed his doctoral residency at the Peabody Conservatory of Music in Baltimore, Maryland, a student of Gustav Meier and his longtime mentor Marin Alsop. He was the Peabody Institute-Baltimore Symphony Orchestra Conducting Fellow for two seasons, and continues to work with the Baltimore Symphony Orchestra and Peabody Institute Ensembles. Mike is the Music Director of the Northern Neck Orchestra in Virginia and served as Assistant Conductor of the Concert Artists of Baltimore for 5 years. Mike conducts the Orchestra of the Moscow Ballet in productions of the Nutcracker each season in Baltimore. Along with regular engagements in the mid-Atlantic, his international credits include a recent debut with the São Paulo Symphony Orchestra in Brazil, the Artes Nazionale Orchestra in Florence, Italy, and performances as far away as Wollongong, Australia. 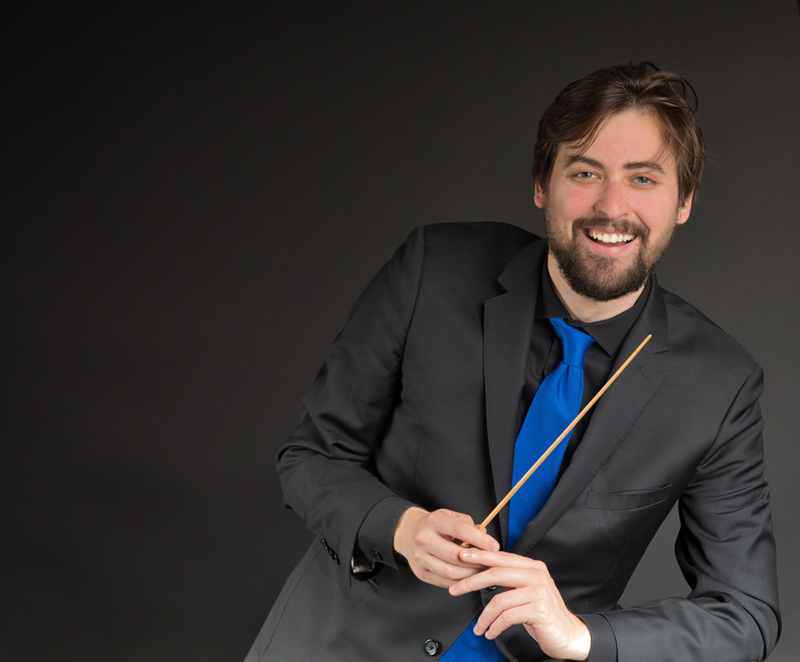 He regularly conducts the Baltimore Symphony Orchestra in educational concerts and has been invited several times as a cover conductor with the St. Louis Symphony and other major professional orchestras. He is an avid pianist, having performed several times alongside his own orchestras while conducting from the piano, and regularly serves major organizations as rehearsal pianist, including work with the Chicago Symphony Orchestra and Carnegie Hall. Mike is the Artistic Director of the Chamber Music Society of Maryland, a Baltimore-based chamber music series currently in its 44th season. There, he founded the Reinecke Youth Fellowship in Chamber Music, an annual $1000 scholarship opportunity for three pre-college musicians interested in chamber music at the professional level. ​Passionate about supporting youth in music, Mike has traveled to Venezuela to conduct the annual International Orchestral Seminar in Acarigua, an El Sistema based orchestra, and at home he takes great pride in nurturing a private studio of aspiring musicians. He also dedicates his time as a staff member at the New School of Music, helping to develop programs in Musical Theater. Michael enjoys a full schedule of guest conducting, most recently premiering a concert of new music with the Grammy-Nominated Metropolis Ensemble, and leading the NY-based ensemble Camerata Notturna. He has worked with world-renowned soloists, including Demarre McGill, Julia Bullock, Colin Carr, Christine Lamprea, and many others. Together with the New York Youth Symphony, he will make three world-premiere performances per season, highlighting the talents of promising emerging composers including Hilary Purrington, Thomas Kotcheff, Ryan Lindveit, Peter Shin, Natalie Diettrich, Theo Chandler, and more. In Baltimore, Mike was also the Music Director at the Baltimore Basilica, the first Catholic cathedral in the United States, and he is the New Music Consultant for the Baltimore Symphony Orchestra. Mike also enjoys musical scholarship. At Stanford University, he taught Music Theory to Undergraduate and Graduate Students, and his research in the field of melodic range spectrography and perfect pitch perception was awarded Honors at the Center for Computer Research in Music and Acoustics. He is a proud graduate of the Orange County School of the Arts in Santa Ana, CA.